Discussion in 'iPhone and iPad Games' started by dcbro155, Oct 8, 2016. If the game's too hard, the Optimist helps. Yay for optimism! Why did I read "Testis" and think this was about testicles with cute faces. That theme and name cant be a coincidence. Oh YEAH, someone -from the UK it seems- made a youtube review of Tentis! Does anybody read this? Do the editors read this? 2 months out, never mentioned in "Out this week on our forums". I even tried to contact them. Not complaining, just a sincere question... Or I'm just out of luck? In any case, Update 1.2 is live now! Did I mention the unlimited play on the free version? Christmas update 1.3 is now live. Unveiling items for you to customize your favorite emotions! Items of the month: the Christmas Items. Mustache, Bobble hat, Christmas Tree glasses and RedWhite Bowtie! My name's David and I created this little game called Tentis. First game! 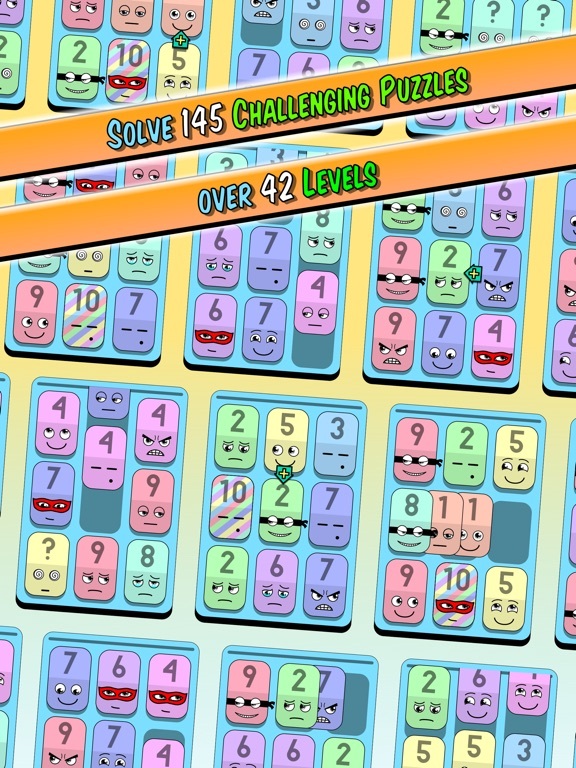 Tentis is a cute mobile puzzler with numbers, for iOS (and Android too). Yet another mobile puzzle game. Why should I care? Tentis is different. It has something new to offer, both in mechanics and content. 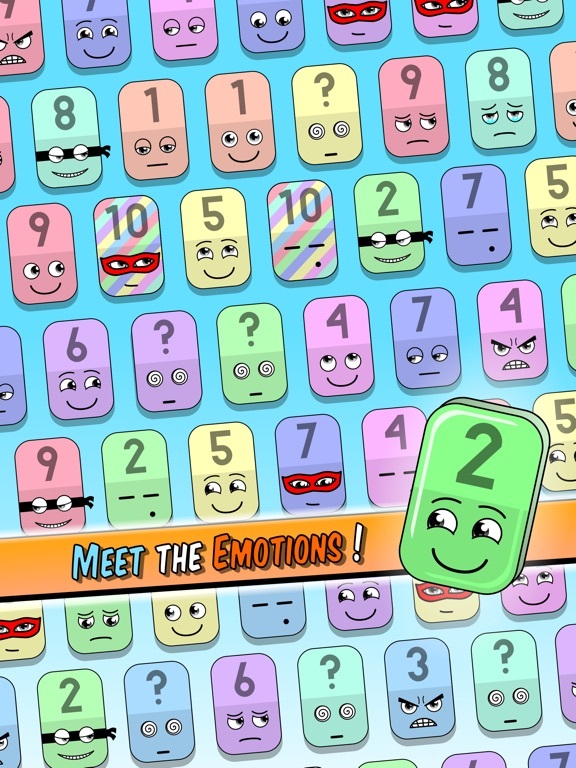 It is very likeable and cute, wants you to touch it; so that your beautiful brain can enjoy some sweet puzzles with no candies. 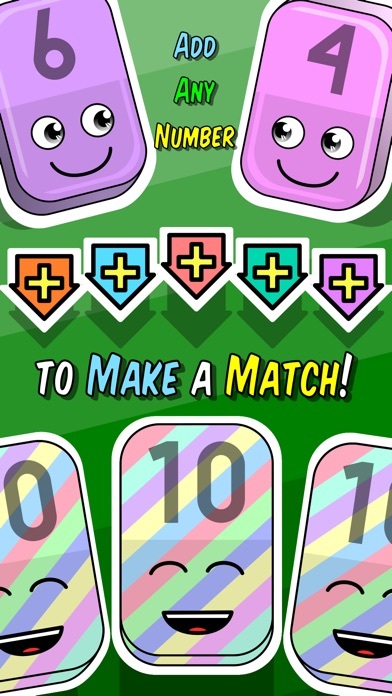 Tentis is not your typical matching game of a brainless timefiller. In Tentis, you will need to have some agency of the numbers. The game will challenge your brain. I made this game because I believe that we all have beautiful brains in need of good care and stimulation. Hence the studio "Oh Beautiful Brains". Don't be afraid however, the learning curve is very smooth. Indeed, there is no tutorial, because Tentis takes you right on very simple puzzles to make you understand by yourself the rules of the game, bit by bit, and enjoy your aha moments. A lot of care has been put into the progress of the levels with a lot of inspiration from the great designers of old, so that no one gets lost, and everybody can enjoy learning and solving. Like a Mario Level 1-1 experience, but with puzzles. Anybody who likes number games like I do, like Threes, Drop7, and the likes. I am actually a fan of Threes and it was one of my inspirations. Also, since Tentis is also a match-3 game, it can be a refreshing take for match-3 afficionados, by mixing the classic formula with numbers. In general, Tentis is for puzzle lovers! Ok, I love Threes and/or match-3 games. You got my attention! How do I play this? 1. 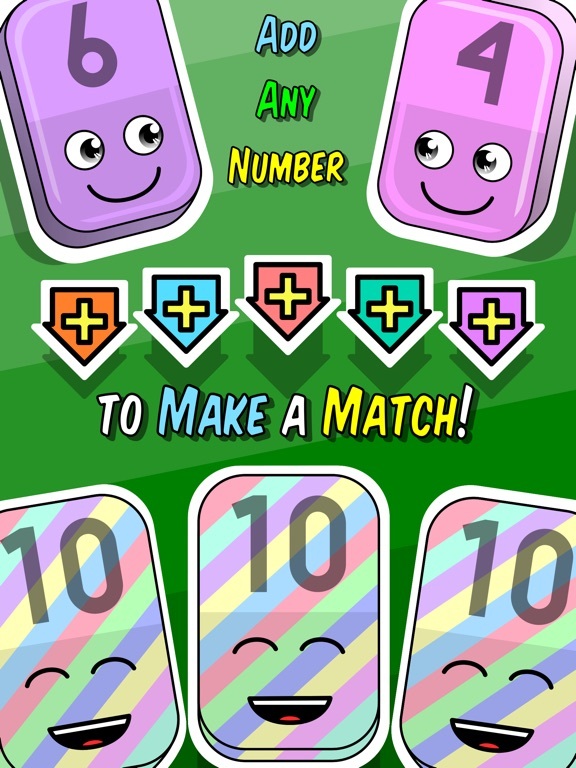 The basic mechanic is to match 3+ cards, but instead of swapping candies or jewels, we add numbers. You can add any adjacent numbers, up to 10, which is the maximum. Hence "Tentis". 2. 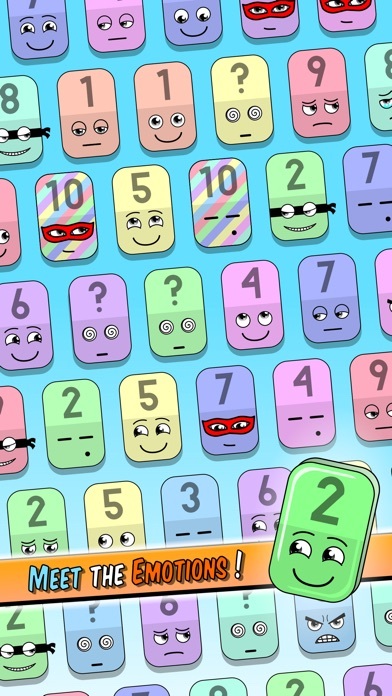 The numbers can have special identities, that will alter the layout of the board with extra challenges. For instance, there is "the Masked" who will hide his real number behind a mask. "the Optimist" will increment his number every time you make a move. 3. 2 modes for 2 playstyles: 145 puzzles with unique solutions, and the endless minute mode for those who want to play faster with an adrenaline kick to the brain. 4. The second mode also offers depth through power ups that are needed to progress. There are 100+ powers to collect that boost your score and/or alter mechanics. For instance, "Match me if you can" will give you back more time per match, and "Elsa, what did you do", will freeze the timer, but will also substract 5 seconds off your timer every time you make a move. Wow this sounds fun, good, and deep. How long have you been working on this? Is this really your first game? This game offers hours of play, and it is not a throwaway minimal game, as we see a lot nowadays. I have worked almost 3 years solo on this to make it perfect. First release was 5 months ago, and I'm at my 20th update (1.4). Also, believe it or not, it is my first game ever, and I have done everything, from the graphics to the animation to the programming to the voice acting. For the pleasure of all brains! I certainly hope you like it! If you have any other question, feel free to ask! Thx! I was beginning to think that my posting here on TouchArcade was useless... Do you like it? 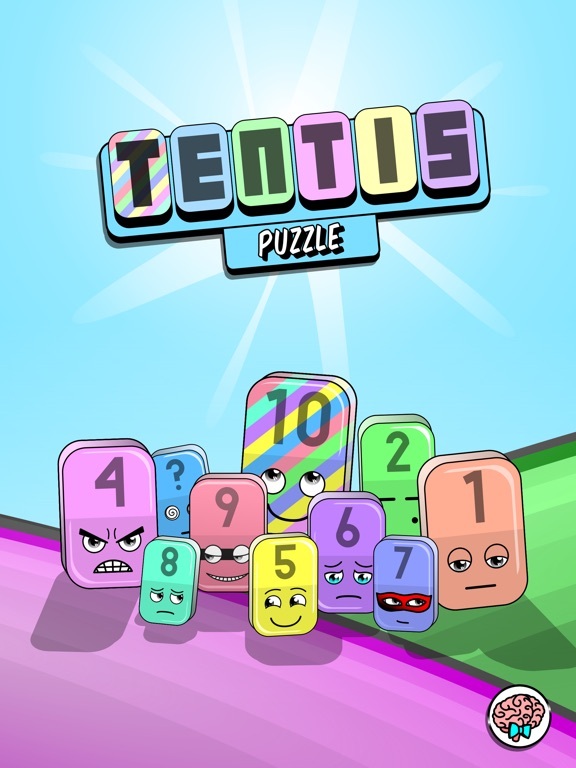 Tentis has now been split into Tentis Puzzle (this game) and Tentis Minute (newly released), to make for better and more compact experiences, since the two modes differ largely in game styles. I will thus be able to focus on each one and expand each differently. If you like puzzles that make you think until you find the solution, with very smooth and enjoyable mechanics to learn seemlessly on the go, play Tentis Puzzle. 145 number puzzles to solve. 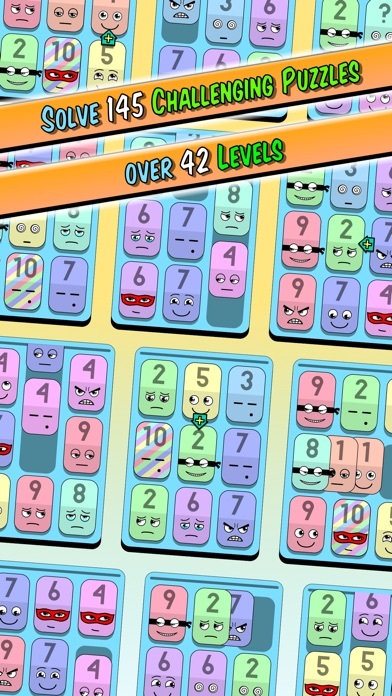 If you like endless number games with a focus on high score and timed adrenaline, try out Tentis Minute here http://forums.toucharcade.com/showthread.php?t=301435. This one will use the same basic mechanics, but give you 60 seconds only to score your best. If you reach your objective each stage, the timer is reset, and you get to choose a power up among 100+ power ups. There's a lot to discover! I have a soft spot for puzzlers that involve no guessing and relaxed pace, so Tentis Puzzle was quite a natural game to test out. The starting difficulty is mostly a tutorial, and the challenge starts at the medium level while the 'ultimate' allows for some serious head scratching. b) Blinking help button when you've barely gotten started with thinking how to solve the puzzle. 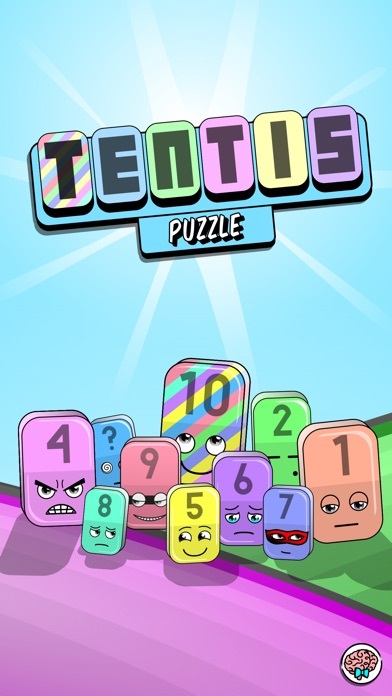 For a free/99 cent game (if you want to get rid of the ads, which I did) I'd highly recommend Tentis Puzzle to any puzzle fans out there. Thank you SqFKYo for this great review! We're really pleased that you like our puzzles. Among other things, we plan some minor changes, mostly cosmetic and quality of life, including the blinking of the button you mentionned. As for the Masked and the Forgetful, we will change some things in the future. Stay tuned!